Well, This is not a trick but a very amazing software that helps us to save our time. This software helps us to install any program from its shortcut. This software is termed as Menu uninstaller.This software works in all Windows OS like XP, Vista and Windows 7. 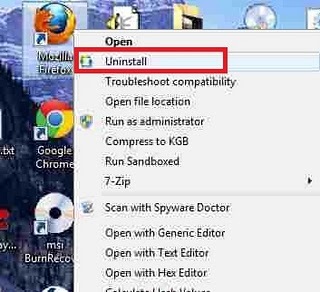 1) Download Menu uninstaller and install it to your PC.